Sergio Marchionne is the head of Ferrari. Not coincidentally, he’s also the head of Fiat Chrysler Automobiles. So while in the past he’s said that Ferrari wouldn’t have an SUV, maybe things have changed. After all, Lamborghini’s going to have an SUV soon, and Sergio loves them so much that, bafflingly, it’s pretty much all FCA will do from now on. But there will apparently only be a Ferrari truck over Sergio’s dead body. 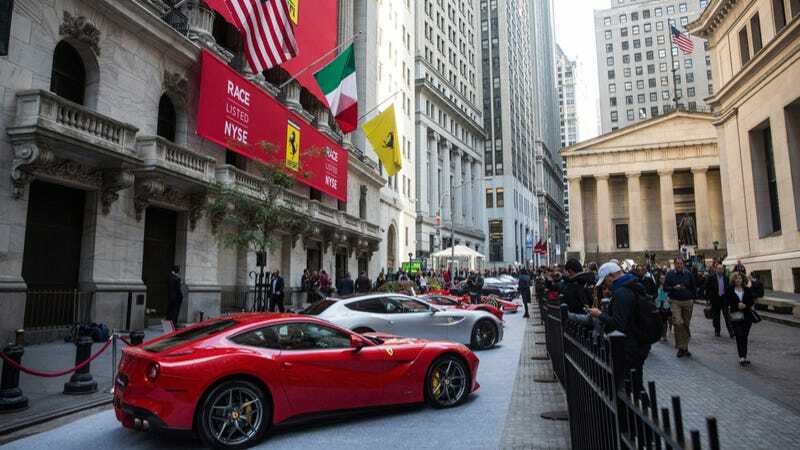 Ferrari’s earnings are down in large part because production is down, and that’s very much due to the fact that deliveries to China fell 22 percent, as China’s economy appears to be just completely tanking while the whole world whistles past the graveyard on that one. But! Sergio says that Ferrari “will be fine” as long as it remembers to make one less car than demand requires. And, apparently, as long as it doesn’t make a truck.